Catfé has been immensely popular since the announcement that a cat café was opening in Vancouver. 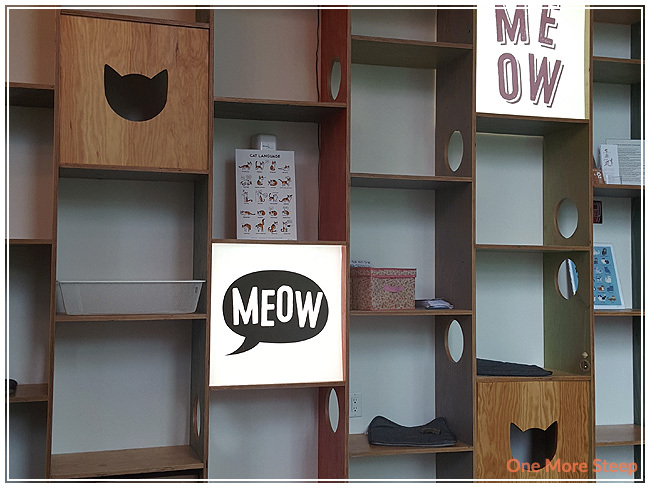 Following in the footsteps of popular cat eateries in other countries, Catfé opened after figuring out the logistics of having cats and serving food (spoiler: the room for petting cats and the area for purchasing beverages are separated). 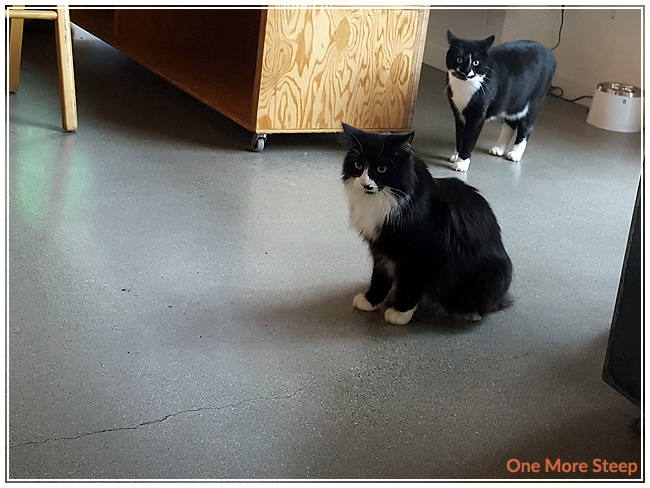 The cats at Catfé are all available for adoption and are provided to Catfé by the BC SPCA. On Thursdays, they are closed to shuffle in new cats and to allow them to become accustomed to their new environment. 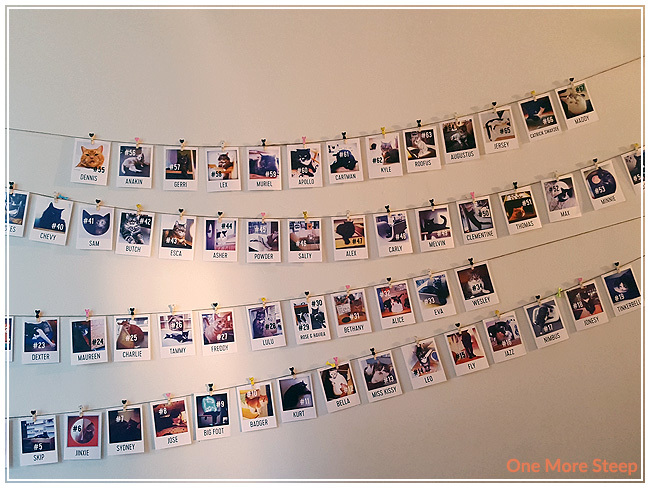 I recently went to Catfé with a friend, who’s a food blogger at BitterSweetLife. The prices are fair given that it is a cafe. Drinks are between $2.95 to $4.50 while food items are $2.95-6.85. 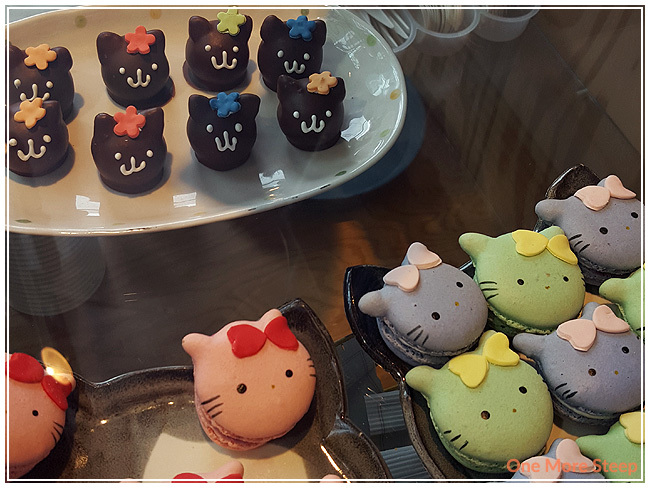 Some of their drinks have cute cat-themed names like Ameowicano and Cat-puccino, and the Macaron was called Meowcaron on their menu. I opted for a London Fog (Earl Grey tea latte). It came in a to-go cup (according to the signs above their compost/garbage bins, all components of the to-go cups are compostable!) that was a fairly standard looking size. The foam from the frothed milk was dense! 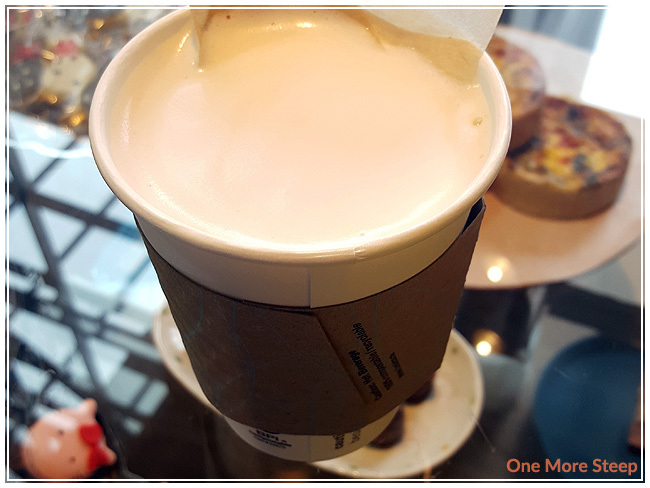 The latte itself was quite good, I added a bit of agave syrup to sweeten the tea as I like my Earl Grey sweetened. Overall it was a good latte! 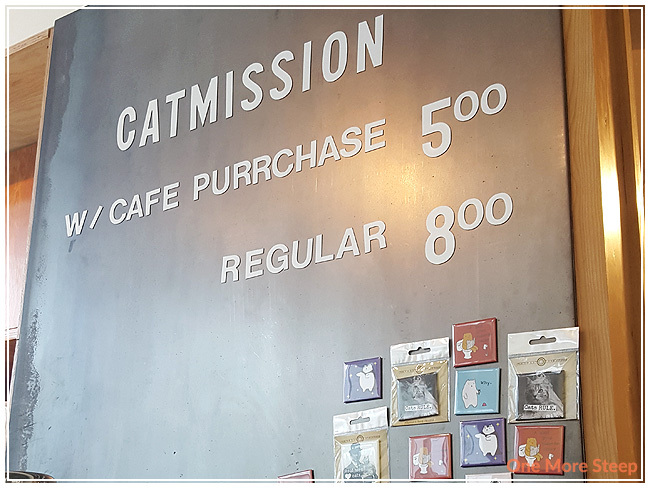 Admission to the cat area is $5 if you purchase something from the cafe, $8 if you do not. There are some rules that they go over in the cat area (e.g. 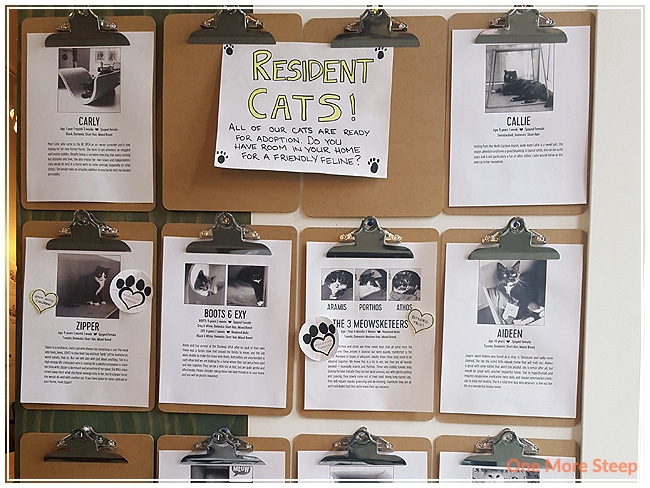 don’t pick up cats, don’t give belly rubs, don’t feed the cats, don’t leave your children unattended) and a sign-in sheet to acknowledge that you understand the rules. 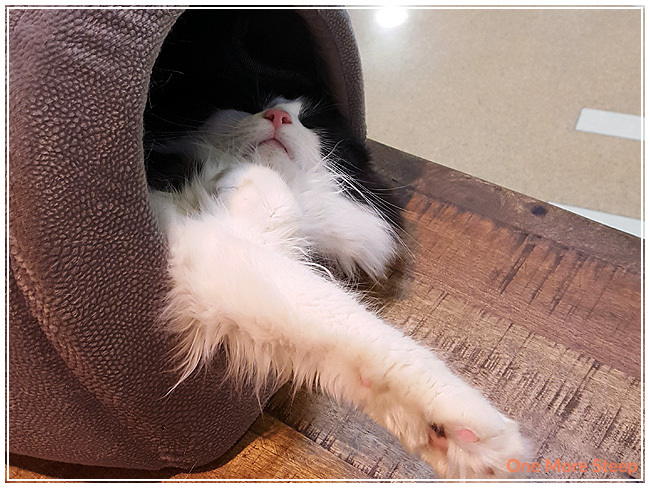 The cats have a lot of area to relax in – there are many perches for them to choose from with hidey holes, and a lot of toys for the visitors to utilize (both for themselves and with the cats – there were a few cat-themed board games on the tables, some cat themed books, and many cat toys around). I had a great time at Catfé! I will definitely go back there – I love cats so it’s a nice fix for me since I can’t have one at home right now. The admission to the kitty area isn’t too bad, considering $5-8 for cat-therapy is a lot cheaper than real therapy. I found the cats to be generally quite friendly there. 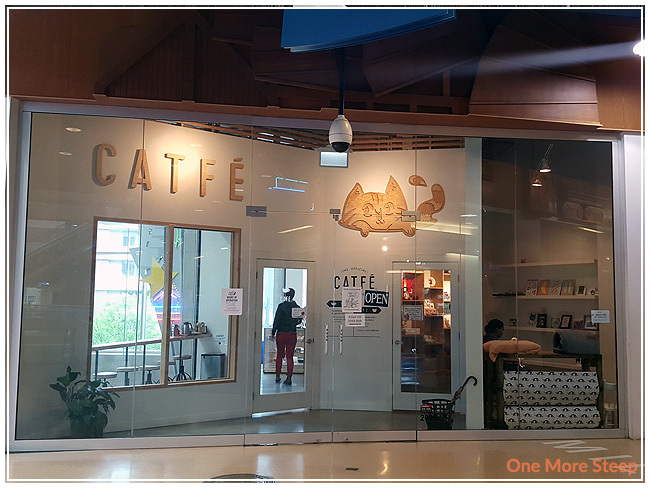 The staff were also all very nice and friendly, they answered questions easily about Catfé. It’s a great little gem in International Village, the mall that Catfé is located in. It definitely has a very clean look to it, despite housing so many animals. There are even lint rollers near the exit of the cat area if you need to clean yourself off before leaving.